Healthcare workers face a number of serious safety and health hazards. They include any number of potential exposures and contact related health hazards. CSQS understands these are serious issues and takes a steadfast approach at rectifying any potential process, equipment, or areas of training which may effectively address the spread of health and safety hazards. Historically, health care professionals, including the social assistance industry, are more likely to be injured on the job than any other industry. The exposure to potentially serious diseases and hazardous medical devices only serves to increase the frequency of potential health and safety issues. These known occupational hazards are often an afterthought when considering patient care. CSQS knows that there is a way to increase worker safety without sacrificing quality care in your healthcare organization. While anyone working in the healthcare industry are at a higher risk of contracting illnesses, this is only one area of safety which should be addressed. The more prevalent safety concern in the healthcare industry is focused on those working most closely with patients and their immediate care. This includes nursing aides, orderlies, and attendants. These dedicated individuals are at some of the highest rates of musculoskeletal disorders of all occupations. Their repetitive and overuse of the same muscles causes strain more recurrently than any other industry. As an example, the comparison for this rate in *2010 was 249/10,000 workers compared to 34/10,000 workers for all industries, nearly 8 times more frequent. By focusing workplace and occupational safety efforts on those most likely to be injured on the job, CSQS can help your employees to be more productive, happier workers. 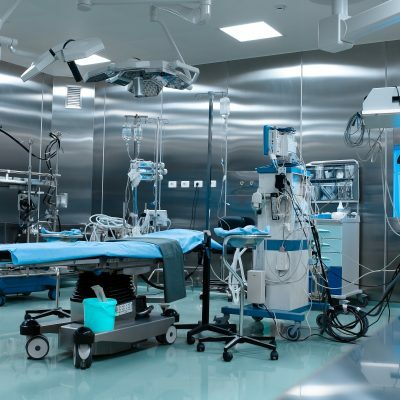 In addition to the medical staff, large healthcare facilities employ a wide variety of trades that have health and safety hazards associated with them. These include mechanical maintenance, medical equipment maintenance, housekeeping, food service, building and grounds maintenance, laundry, and administrative staff. At CSQS we address all of the workers within your organization, ensuring the safest possible environment for everyone. Many health care facilities are turning to the established, effective programs of ISO. This is where CSQS is a proven leader in today’s world. We customize our program to fit each client’s needs. Contact us to for a complete evaluation of your current safety plan, as we work towards an injury-free healthcare system.